Can I Just Pay a Travel Agent to Book My Award Trip? A few years back when I went to Hawaii, I used a service that you (maybe) were involved with—award-planner(?). Michelle was the very helpful lady who was so wonderful in assisting me—I do remember that! What I would like to ask is do you know of a person/company that offers the service of booking award travel for clients? I want to take my bride and several friends to Kauai in October of this year but do not want to put forth the time/effort required to make all the reservations using my frequent flyer miles. That said, I am happy to pay someone for their time/effort in doing this for me. Any info/advice that you could provide would be very helpful and I would so much appreciate the effort. Thanks for taking time to possibly help me out. Unfortunately, AwardPlanner ceased operations on March 15, 2007. Randy explained to me at the time that dealing with blackouts and capacity controls had made booking award travel so time-consuming that it was no longer possible to offer the service at affordable prices. 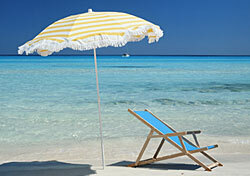 There are undoubtedly travel agents who have special expertise in booking award travel. Unfortunately, I couldn’t tell you who they are, so you’ll have to call around. If you have a relationship with an agent who arranges your paid travel, that would be a good place to start. I can tell you that you’ll pay an extra $40 or $50 over and above the $30 or so an agent will normally charge to make a domestic booking. The premium reflects the extra time and effort required to locate award seats on flights that meet your needs. If you get a chance, please report back on your experience booking your award trip through an agent. I’m sure it would be of interest to our readers who find themselves in similar circumstances.